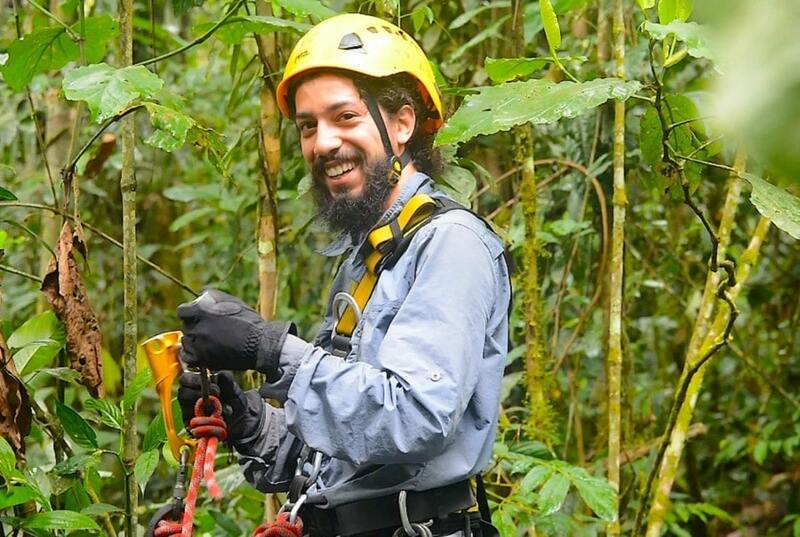 A conservation internship in the Amazon opened my eyes to the whole rainforest ecosystem and not just the pretty mammals in a primary forest, explains researcher Diego Balbuena. Since I was a little kid, my dream had been to visit Manu. It’s an area of remote Amazon rainforest that sits in the south-east of my home country Peru and is one of the most biodiverse places on Earth. Its incredible high biodiversity is due to the different types of ecosystems that exist in its range – from the high Andes, down through cloud forest and into the jungle. You get to see this ecosystem gradient with your own eyes when you travel from Cuzco to the Manu Learning Centre (MLC), a research and education hub run by the Crees Foundation. During my three month internship at the MLC – which is free for Peruvian nationals – not only was I introduced to a variety of different wildlife, but I was also trained to identify different species and to lead surveys to study them, running a range of butterfly, amphibian, reptile, mammal, and bird surveys. The training in Tropical Survey Techniques and Survey Leadership also taught me about habitats, stratification, regeneration and conservation. I gained an understanding of the whole rainforest ecosystem, one I had only vaguely seen in documentaries. The most critical lesson I learned at the MLC was the importance of secondary, regenerating rainforests. The MLC was once farmland and the forest had been selectively logged and in some areas completely destroyed for growing crops and grazing cattle. It’s been regenerating for 30 to 50 years and strictly protected for just over a decade. Before now I had only been in primary, barely touched forests, and I saw how beautiful they were. News about deforestation obviously saddened me greatly; we are losing our precious primary rainforests. But my time at the MLC proved to me that there is hope. Of all the world’s forests, 57% are secondary meaning they have been impacted or disturbed by people. 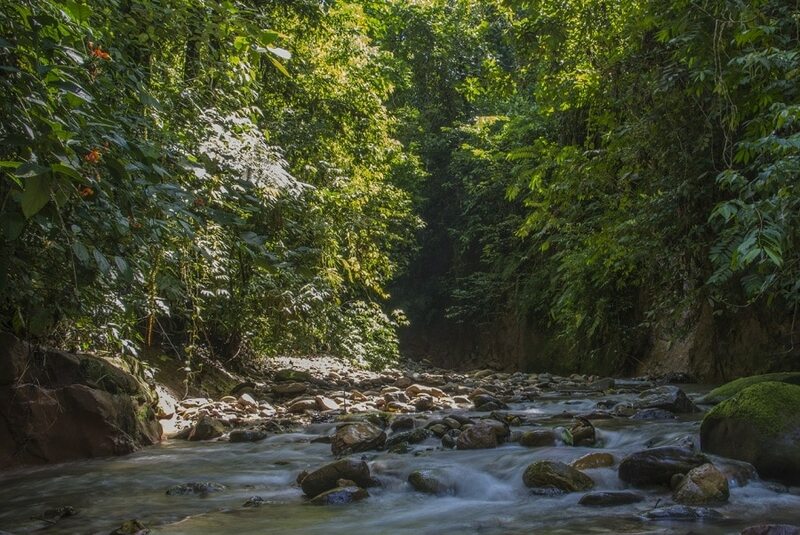 Researchers at Crees have proven the 87% of biodiversity can return to secondary forests if they are protected and left to regenerate naturally – all is not lost. Running all those surveys at the MLC and reading comparative studies about primary and secondary rainforest in Manu, I learned that the biodiversity in this regenerating ecosystem is also outstanding and it needs to be protected. Some of the highlights from my time at the MLC were getting to see so many animals, meeting people from all over the world, working directly with a community and getting inspired to follow this line of work. It was way more than what I expected when I applied for the course. 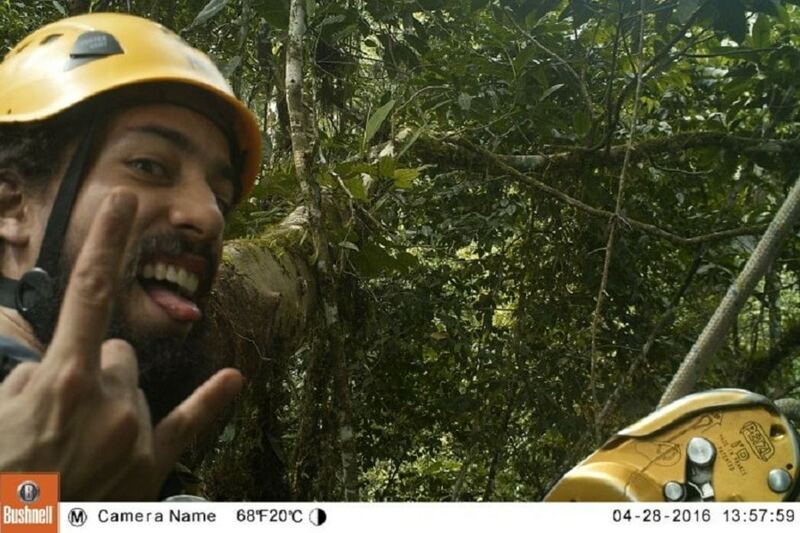 I even got a job offer when I was done, as a team member in the Tree Top Manu 2016 expedition – one of the largest canopy camera-trap research projects in the world that’s run by the Crees Foundation. I’ll never forget my time in the MLC and I definitely hope to return. Thanks so much Diego for being a passionate and dedicated part of the team at the MLC, we would love to welcome you back one day. Diego continues to work as a researcher in Manu and you can follow him in action through his blog, Facebook, Twitter and Instagram.